Brochure for the Connecting Cultures exhibit at the Phoenix Airport Museum. 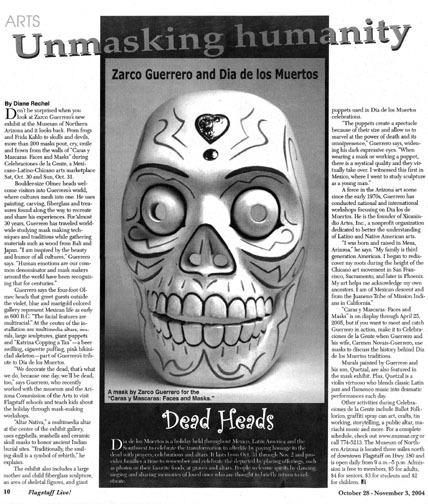 Unmasking Humanity from the October 28 - November 3, 2004 Flagstaff Live! 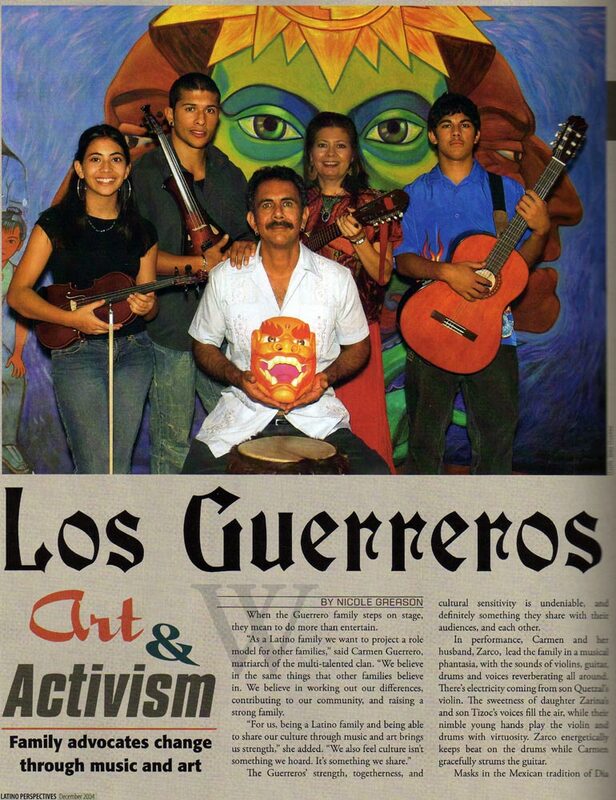 Los Guerreros Art & Activism from the December 2004 Latino Perspectives. 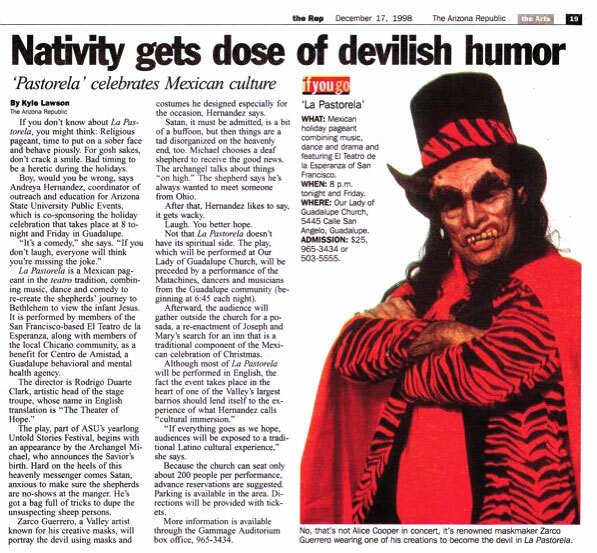 Article by Kyle Lawson titled Nativity Gets Dose of Devilish Humor: 'Pastorela' Celebrates Mexican Culture in the December 17, 1998 edition of The Rep. 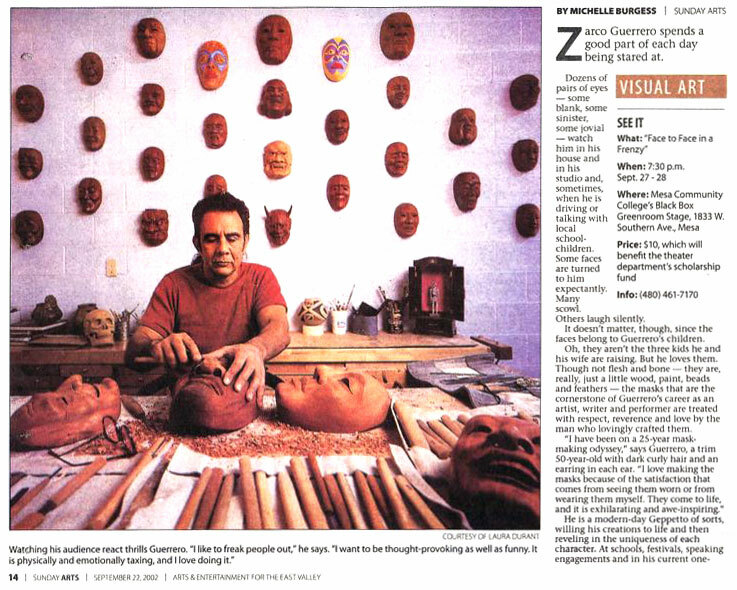 Feature by Michelle Burgess on Face to Face in a Frenzy in the Sunday Arts magazine from September 22, 2002. Press clippings about Zarco and the Guerrero family.